Eight people arrive on Soldier Island, invited by their friends Mr. and Mrs. Owen. The housekeeper and butler inform them that their hosts are not yet on the island. Things seem fairly ordinary until, one by one, people start to disappear. 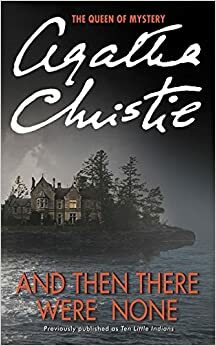 And Then There Were None is basically like the game of Clue. Everyone is trying to figure out who the murderer is. The language; however, is a little old, which may make it boring for some people. I would recommend this book to people in their teens and over. Anyone younger wouldn't find it interesting, as it is a complex murder mystery.